Emily, the fifth child of Reverend Patrick Bronte and his wife Maria, was born on July 30th 1818 at Thornton, Bradford in Yorkshire. Her mother died of cancer in 1824, shortly after the family had moved to Haworth. Her father, struggling to bring up his family, decided to send her, together with her sisters Maria, Elizabeth and Charlotte, to the Clergy Daughter’s School at Cowan Bridge. The harsh regime of the school, the poor food and hygienic conditions took their toll on the girls. When a typhus epydemic broke out, Maria and Elizabeth fell ill, came back home and died. The other two girls were taken away from school too. From that moment, their father took charge of their education. The Bronte children studied at home, read a lot and invented stories. Emily and Anne worked together on poems and stories about the imaginary world of Gondal. In 1834, Emily enrolled at Miss Wooler’s school at Roe Head Mirfield, where her sister Charlotte worked as a teacher, and remained there for 3 months before going back home again. In 1839, Emily became a teacher at Law Hill school but left her job after six months. Emily dreamed of opening her own school with her sisters and so, to improve her knowledge of foreign languages, she left for Brussels with her sister Charlotte. Here, she learned French, German and how to play the piano. A few months later, they received the news of their aunt Maria’s death and went back home. Emily and her two surviving sisters, Charlotte and Anne, inherit £350 each. Thanks to this money, her project of opening the school became more realistic but despite all the sisters’ efforts and hard work, they failed to attract students. The project was abandoned. Emily started writing down all her poems into two notebooks. Charlotte found them and thought they should be published but Emily refused. A reserved and taciturn woman, she was furious at this invasion of her privacy. Eventually, though she relented. 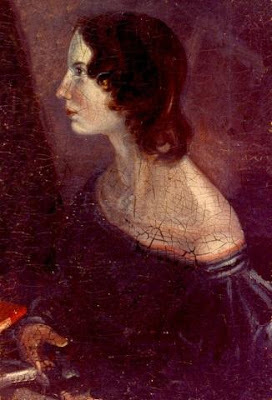 In 1846, the Bronte sisters published a book of Poems under the pseudonyms of Currer (Charlotte), Ellis (Emily) and Acton (Anne) Bell. The following year, her masterpiece, Wuthering Heights was published too. But in 1848, Emily’s health deteriorated. She refused all medical help and died on 19 December. She rests in the Church of St. Michael and All Angels family vault, Haworth, West Yorkshire.